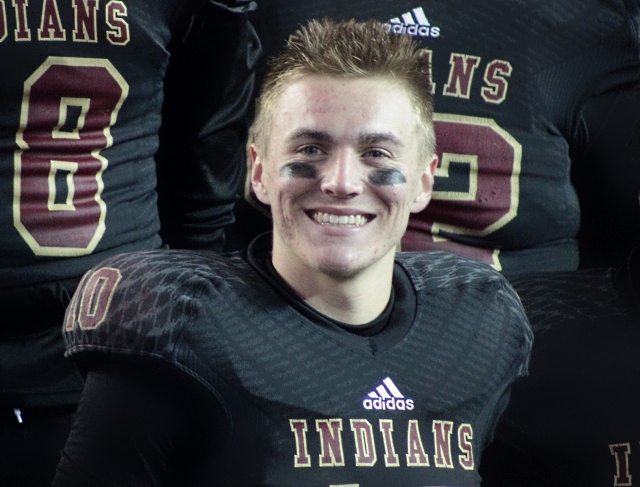 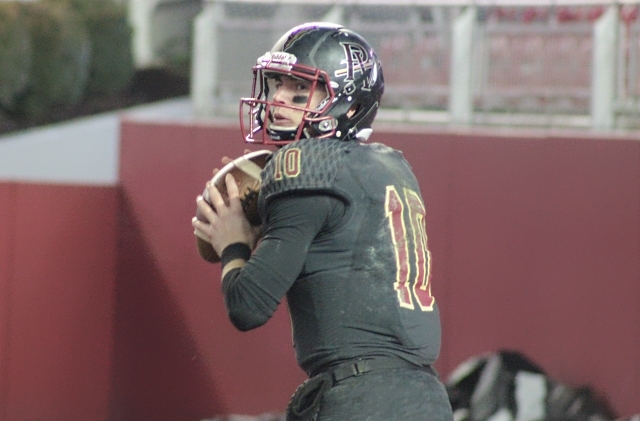 Birmingham, AL – Pinson Valley Indians quarterback and Auburn commit Bo Nix continues to climb in the national rankings. 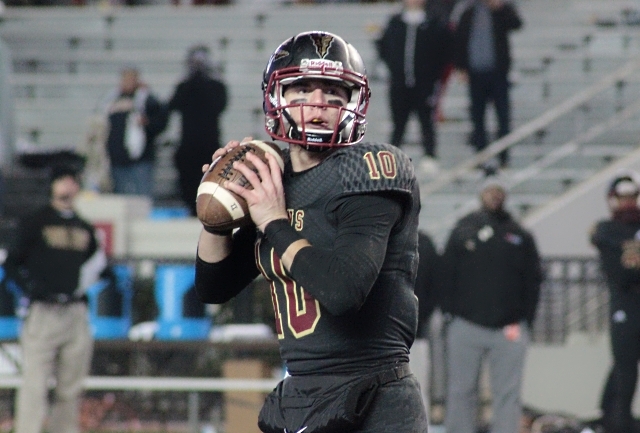 After a string of standout performances in national combines over the summer, including bring home top honors at the Rival’s quarterback skills challenge and leading his team to a second place finish in The Opening in Dallas, TX, Nix jumped from being ranked the nation’s 177th overall prospect to number 98 by 247 Sports. 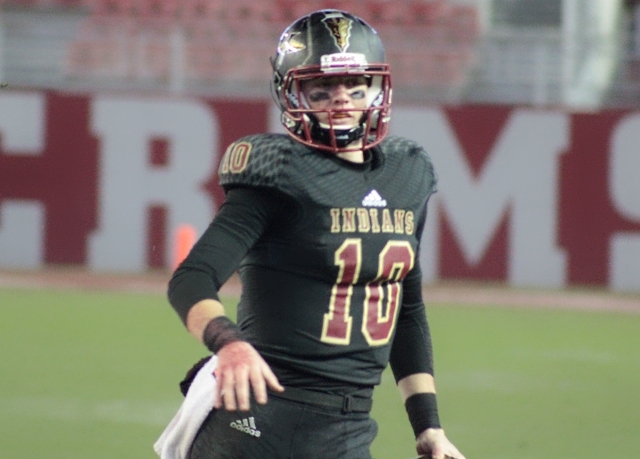 He is currently the nations top ranked dual-threat signal caller and the second ranked quarterback prospect overall. 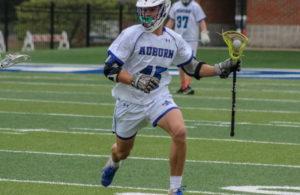 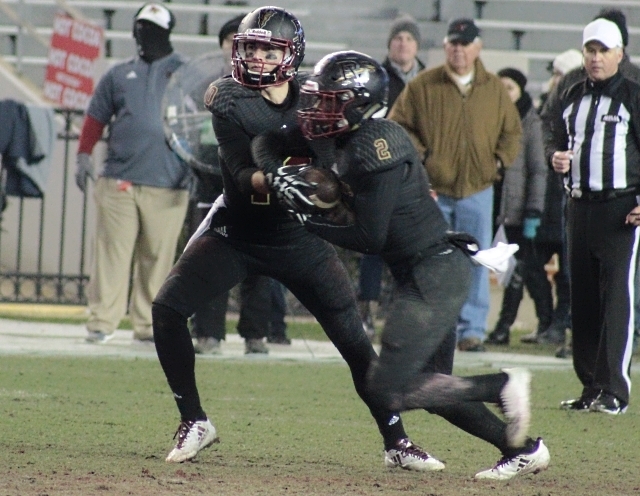 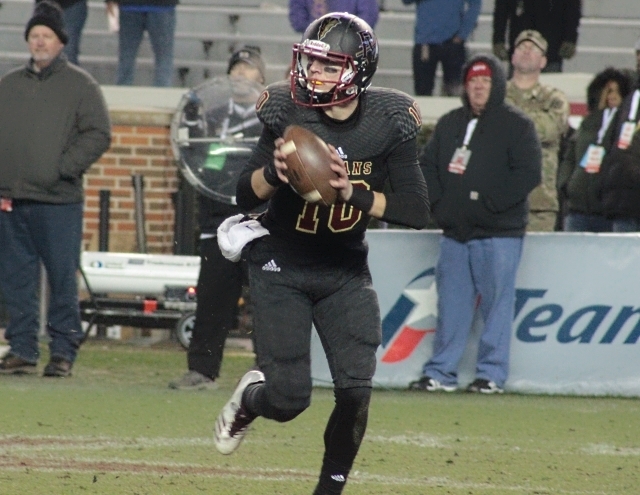 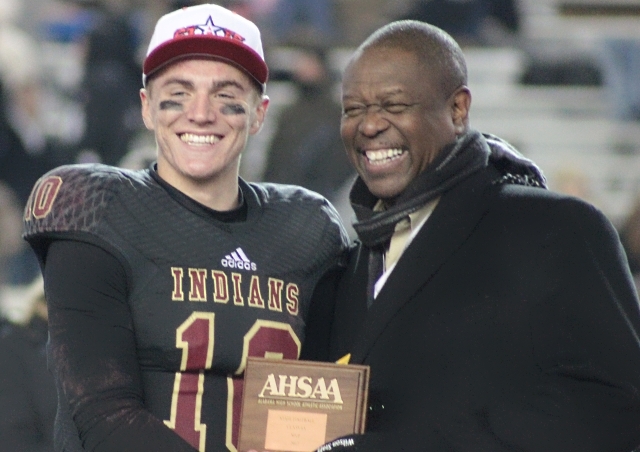 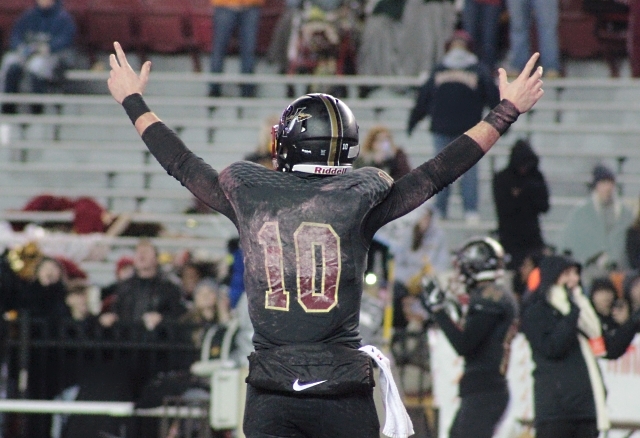 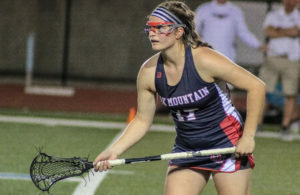 As a junior in 2017, the son of former Auburn quarterback and current Pinson Valley head coach Patrick Nix lead the Indians to a 15-0 record and captured the program’s first state title in school history. 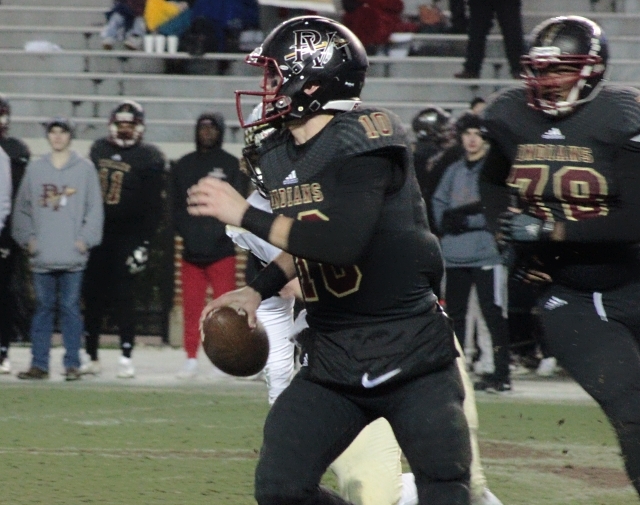 Nix completed 196 of 307 passes for 2,872 yards and 35 touchdowns in 2017 and was named the AHSAA 6A Super 7 State Championship Game MVP. 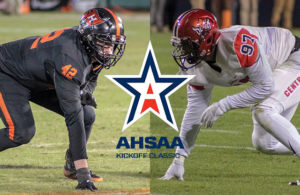 The Indians will kickoff 2018, on national television, Saturday August 25th against the defending 7A state champion Hoover Bucs at the Hoover Metropolitan Stadium.